After news of Schlossberg’s racist rant got out, people have trolled the lawyer on multiple platforms, including on Google itself. When you type his name on the search engine, the picture of The Law Office of Aaron M. Schlossberg Esq. P.L.L.C that appears on the right was altered a number of times. It was changed at least twice in the span of writing this article. 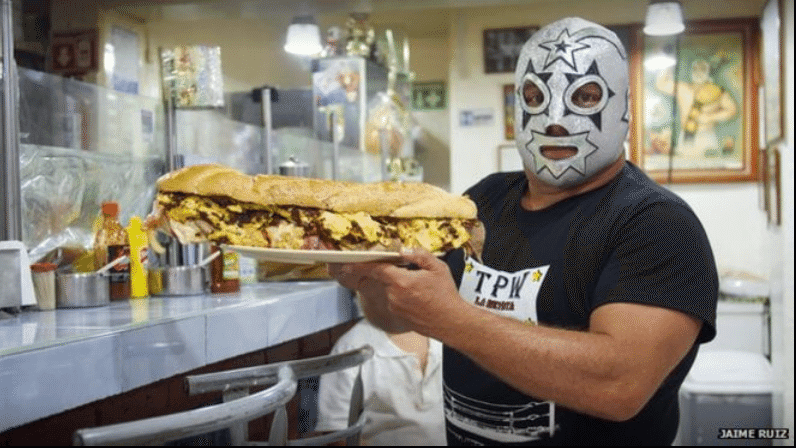 Presently it shows a man wearing a Mexican wrestling mask holding a sandwich. Before that it showed Schlossberg wearing a Mexican hat, grinning widely standing in front of a Mexican restaurant. There was also a picture of a pizza sometime before that. This basically means that as Google took down the photos, trolls kept on putting a different one back up. People have also flooded Google and Yelp with one-star reviews of the law firm. “Dear Aaron, The US has been protecting your country of heritage for decades and you want to degrade hard working people who are trying to make a better life for themselves in the land of the free and home of the brave. You are not brave, just a coward and bully trying to inflict fear into good people,” wrote one reviewer on Google. According to reports, Schlossberg gave $500 to Donald Trump's presidential campaign. Meanwhile, his firm's website claims he is a fluent Spanish speaker, as well as conversational in French and has basic knowledge of Mandarin Chinese and Hebrew. So many people took to Yelp to post negative comments about the law firm that the review posting platform put an “active cleanup alert” on the page. When there is a sudden surge of remarks posted against a service, Yelp works to "remove both positive and negative posts that appear to be motivated more by the news coverage itself than the reviewer's personal consumer experience with the business." A Go Fund Me page was put up to raise money for organizing a mariachi band to march in front of Schlossberg's office. The fund-raising campaign updated their page later on saying that a local mariachi band in New York City had offered to do it for free and with the money raised, they will organize a Taco truck, expected to be set up in the area by Thursday afternoon. Schlossberg also body-shamed a Latina woman in the same facility, after threatening to get her deported and complaining about having to pay her welfare.